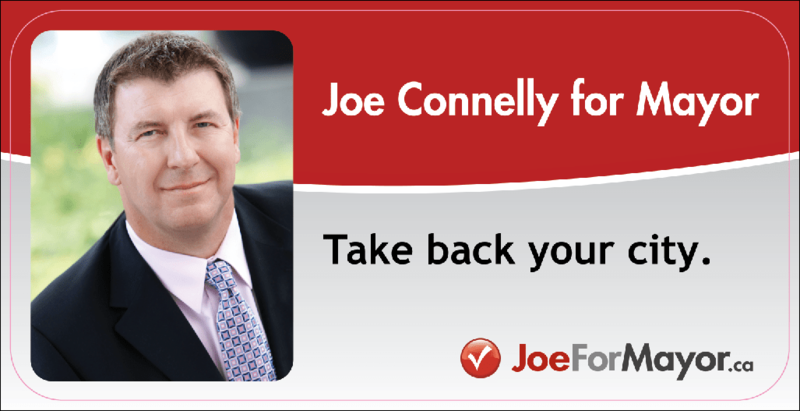 Alderman ward 6 joe Connelly required an integrated strategy to coordinate all online aspects of a Mayoral campaign. W/M had previoulsy created a site www.telljoe.ca to generate survey information and garner public feedback on civic issues. This was used to also develop an online following and critical database. A strategy was created with Social Media platforms, online presence, integrated with mass email campaigns. www.joeformayor.ca Highly optimized with video and current news postings Alderman Connelly was rated #1 for online presence via an Article in the Calgary Herald http://tinyurl.com/29m8qzn volunteer coordination, training on useage and campaign development/maintenance was required.